Instant feedback with CO2 levels, with additional temperature and humidity measurement. Built in alarm warns against dangerous CO2 levels. 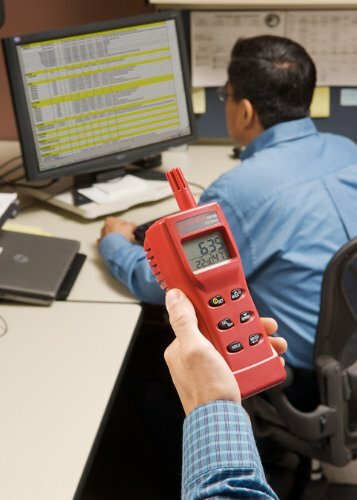 The portable CO2-100 Air Quality meter is designed to measure air quality compliance in occupied spaces such as offices, production floors, schools or hospitals.